Kylie Minogue is the latest artist to tour across Europe with the benefit of Mojo Barriers’ specially-designed touring barrier the G2, as 160m of the system is keeping crowds safe at the singer’s ‘Kiss Me Once’ European dates. 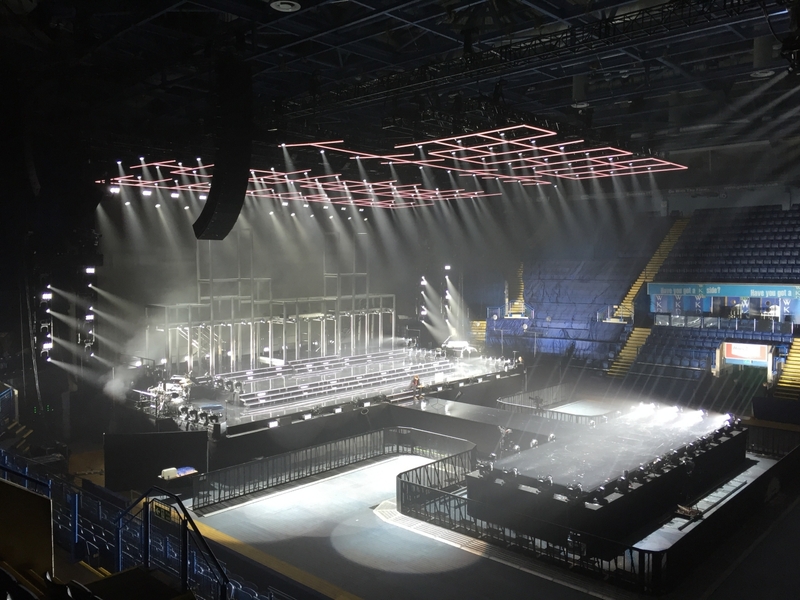 The barriers, a mixture of straight and specials such as corners and gates, allows the production team – headed up by Kevin Hopgood – to create a configuration that includes golden circle, t-shaped thrust for a catwalk and extended front of house. As requested by Hopgood, Mojo provided a custom powder coated black system to fit the show’s aesthetics. Having worked with Kevin Hopgood for 10 years Mojo’s experience and two way communications ensured the project was delivered without a hitch. Mojo Barriers’ Kevin Thorborn oversaw the project from design stages. He said: “Our G2 barrier system was the ideal system for Kylie’s tour, ensuring the same levels of safety are delivered across Europe. 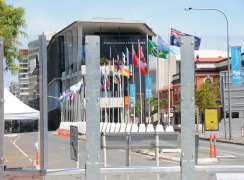 The barriers are being transported along with the show’s other production elements, negating the need to rent barriers from local suppliers at each venue. The contract follows a busy touring season for Mojo Barriers globally, supplying artists including Katy Perry, Justin Timberlake, Miley Cyrus and Lenny Kravitz. Crowd safety barrier specialists Mojo Barriers will feature on Discovery Channel’s flagship ‘How do they do it?’ documentary, this Friday, 13th February. Following a surge in music events and tours heading to the region, Mojo Barriers has announced Kuala Lumpur based EHQ Projects as its official Malaysian distributor, April 2014. Mojo Barriers demonstrated the versatility of its Gatekeeper 2.0 access control system, as it was installed at the annual N-VA (Nieuw-Vlaamse Alliantie) political party congress in Antwerp Expo, Belgium, 31st January. Crowd safety experts Mojo Barriers is celebrating 25 years in industry, helping to raise standards in health and safety at live events across the world. Mojo Barriers provided its crowd management services across the London 2012 Olympics and supporting events, helping to keep millions of visitors, athletes and officials safe.